We Can Fix Ideal, Baxi, Potterton & Vaillant Boilers. Expert Boiler Repairs In West Norwood Provided By Fully Qualified Engineers. Our Emergency Response Team In SE27 Can Respond To Your Emergencies, 24 Hours A Day. Our professional heating engineers carry out expert best boiler repairs in West Norwood. They have years of experience in all types of servicing and installations also. There has not been a boiler manufactured that they can not fix. They are skilful specialists at working on the most well commonly installed. 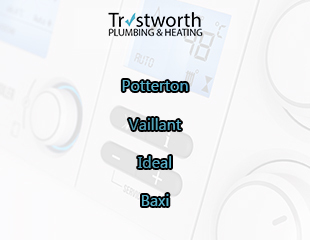 Trustworth is specialists at fixing Potterton, Baxi, Vaillant and Ideal gas appliances. You will benefit from having your boiler serviced periodically. We offer a package that makes sure everything is running smoothly. If you leave it to chance, then more than likely, at some stage you will need a repair. Our engineers are 'gas safe registered'. Our gas safe number is 301783 (which you can check online). Our number one rule is to always follow a strict code of conduct when it comes to safety. You can not take any risks or cut any corners, in this profession. 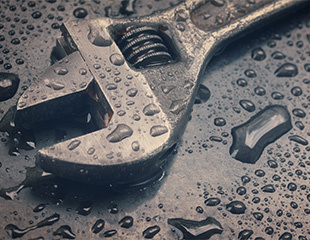 Our team is skilled enough to repair all the problems leaky boilers provide. They can determine if the leak is coming from a temperature/pressure valve or maybe from a broken seal. Our main priority when repairing boilers is always safety. Whether it is leaking from the bottom or from the inside - our expertise provides a durable fix. However, with our aftercare package, you can make sure that it lasts for more many years to follow. Our West Norwood boiler repairs team are friendly and hard-working. Our customers are always happy with the work we carry out for them. We always aim to fix your appliance if possible. There are some occasions where we are unable to fix your boiler and have to replace it. Trustworth Plumbing is among the best in the business. We can successfully handle any central heating problem you have. Our boiler repairs in West Norwood are designed to last. We strongly believe that prevention is better than cure. So regular servicing is something we always recommend. It is very easy to forget about the maintenance of heating and gas appliances. Then when something goes wrong, it is time for panic to ensue. Who wants to go without hot water or adequate home heating? Especially if you have young children in your house, it can really be a nightmare. You should keep our number stored in your phone, so you can call us at the press of a button. Advancements in boiler technologies are always happening. So we believe it is vital for us to always keep up to date with the latest. It makes us better at our job and able to easily manage the most technically challenging circumstances. Our boiler repair West Norwood team, have all the skills necessary to fix any problem. This Chistmas 2017 Santa has a special message for you from the Gas Safe Register. Do you live in SE27 and have experienced a boiler breakdown? Our fully qualified engineers are qualified at dealing with such an emergency. They will diagnose what the problem is and find the best way to fix it. They carry out their work with precision, skill and true professionalism. They never leave a mess and do all the necessary checks. Trustworth can fix any type of gas appliance. However, our skills do not stop there. We offer advice on how you can stop future breakdowns from happening again, anytime soon. So our aim is to help you save money in the future and really look after your home heating. For all type of boilers in your home (Potterton, Worcester Bosch Vaillant, Ideal or Baxi) we carry out expert servicing/checks. It is important that you choose a qualified gas safe engineer for the job. You can not take any chances because there is a real possibility dangerous errors can easily be made. Our annual servicing packages offer the best type of aftercare you can wish for. Call us today to discuss the right package for you. We have a dedicated boiler installations team that can fit all types. They can safely dispose of the old one for you. We offer a 3-year guarantee on all installations. For all emergencies call Trustworth Plumbing on 07951538977. We have a 24-hour response service. We aim to get to your home/property, as safely and as quick as possible. 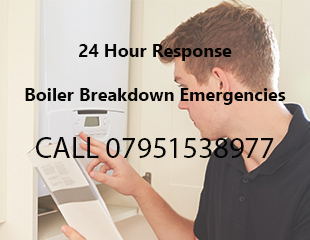 Our same day response makes sure that you can get your boiler problems resolved very quickly. Being without hot water or heat is an emergency; especially if you are elderly or have a young family. Our expert engineers cover the South-East London region. We offer this professional service to homeowners, landlords and business owners. It does not matter the model or make of your gas appliance - we can fix it.